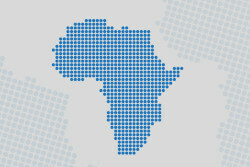 AIFMRM invites applications for two Postdoctoral Research Fellowships. The application deadline is 31 May 2019 and appointments are for 1 October 2019, or as soon as possible thereafter. The tenure of the fellowship is up to two years, conditional on evidence of satisfactory academic progress after one year. 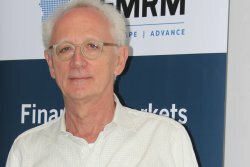 SA-born academic and renowned Wall Street quant, Professor Emanuel Derman from Columbia University delivered a special seminar to AIFMRM students at UCT. 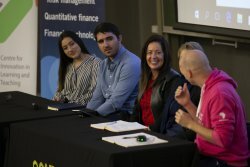 AIFMRM’s annual careers evening highlighted the wide range of opportunities for graduates of the Institute’s three specialised Master’s degrees. UCT has launched a new Massive Open Online Course (MOOC) on the rise of fintech and fintech regulation in emerging markets that will broaden the number of people able to access knowledge and expertise in this fast-growing new field. 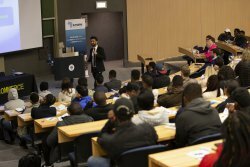 The African Institute of Financial Markets and Risk Management (AIFMRM), a postgraduate institute in the Faculty of Commerce at the University of Cape Town (UCT), hosted two pioneering events in July – the much anticipated fifth edition of the annual Financial Mathematics Team Challenge, and a new, intensive research collaboration called, The Factory.